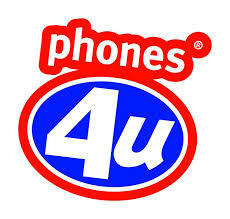 What drove Phones 4u into company insolvency? One of the most surprising examples of company insolvency since the onset of economic turbulence some six years ago is this month’s collapse of Phones 4u. The communications retailer appointed administrators on September 15th, taking almost everybody by surprise and shutting up shop almost overnight. Unsecured creditors have been told to expect only a negligible payout, and are facing a delay of many months before they are likely to receive anything at all. Anybody waiting on a delivery – including the new iPhone 6 – has been told to seek compensation from their credit card provider if possible. Repairs are no longer being carried out; however, some insurance plans with London General remain valid, and customers can of course choose to cover the cost of repairs out of their own pocket. The actual cause of the event seems to simply be a case of suppliers pulling the plug – Phones 4u rely on selling phones on behalf of mobile manufacturers and networks. But with more of the networks preferring to do business directly from their own high street stores, the reseller model is an outdated one, and with supplies withdrawn Phones 4u had no option but to declare company insolvency.